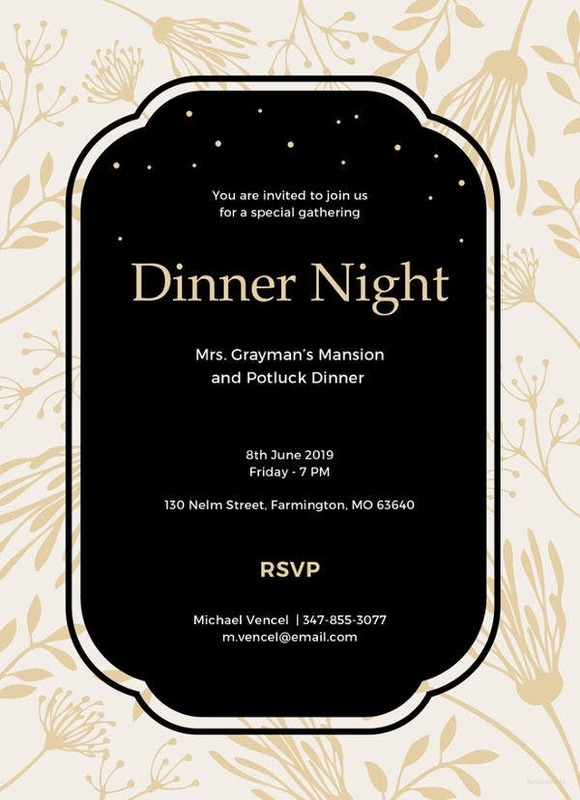 Dinner invitations are created and given out for private functions to celebrate an occasion or just to talk about something that a group that is to dine together has the same interest of. There are various reasons why dinners are being hosted, and there are also many processes that are needed to be considered to be able to fully implement a successful dinner get together. 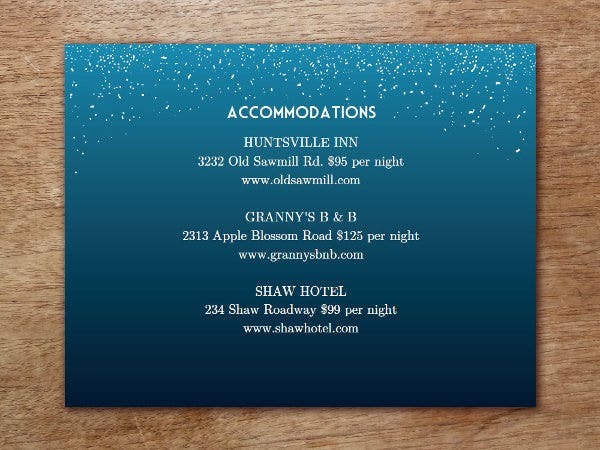 One thing that is needed to be prepared for a dinner party is the dinner invitation cards that will be sent out to the people who are invited to attend the dinner. It is very essential to give all the details that the guests need to know regarding the dinner so they can prepare for the get-together and confirm their attendance should there be no conflict of schedule that may occur. 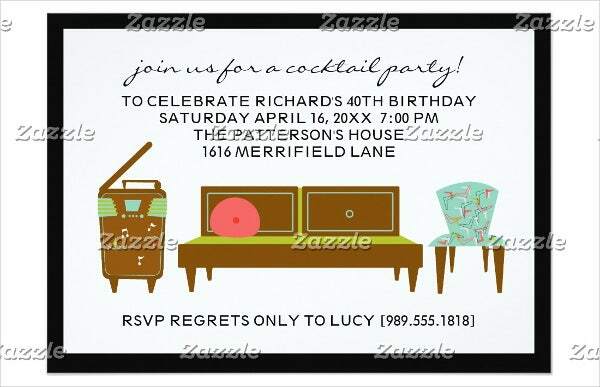 Other than our available dinner invitation card templates, you may also download our other Invitation Templates, which you may use for other celebrations and events. 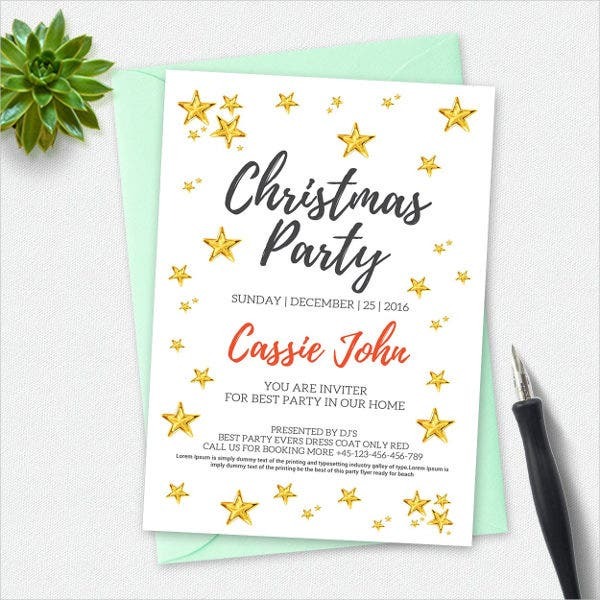 Aside from our dinner invitation card templates, you can also use our Invitation Card Templates, which are usable for different functions and gatherings that you may host. 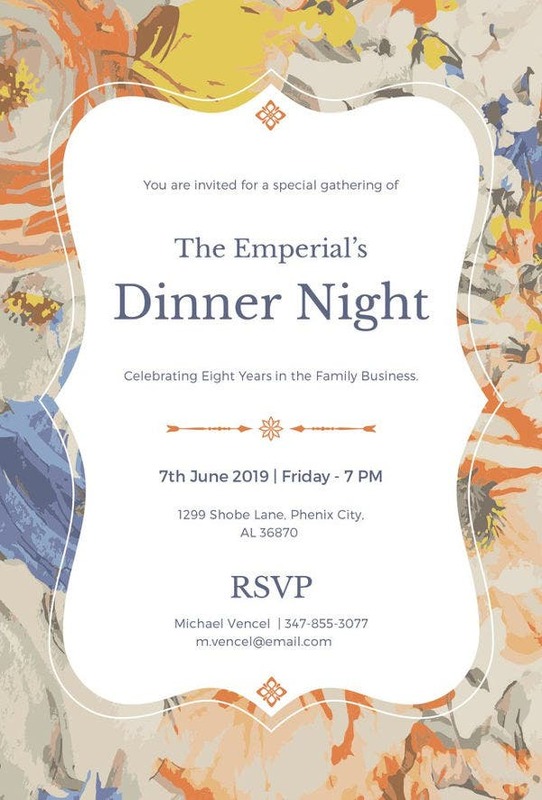 Corporations usually do an annual dinner which can also be a party that celebrates all the successes of the company for the year that is to end. Groups of friends may also have an annual dinner especially if they are far from each other during the entire year or most of them are consumed with work and different activities and responsibilities. 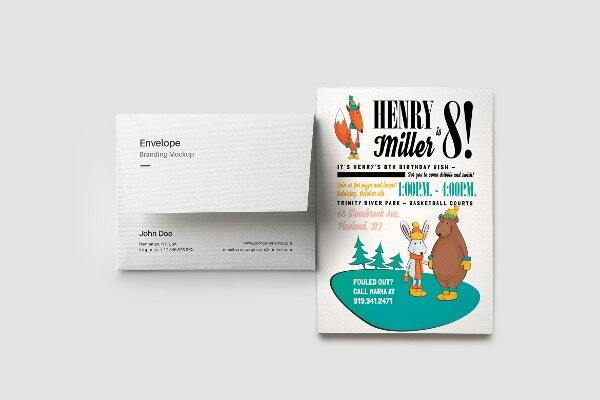 Annual dinner invitation cards may also be sent out to families and relatives for the yearly reunion of a clan. 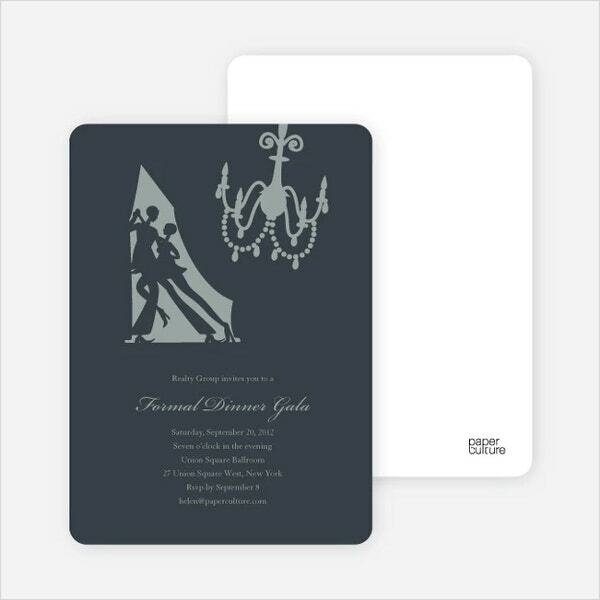 Dinner invitation card templates are truly important as they contain the list of all the items that are needed to be known regarding a dinner gathering. 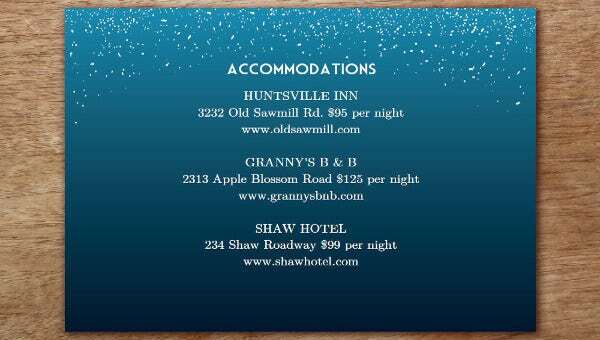 They also serve as a reminder for the invited guests about the specific party that they need to go to. 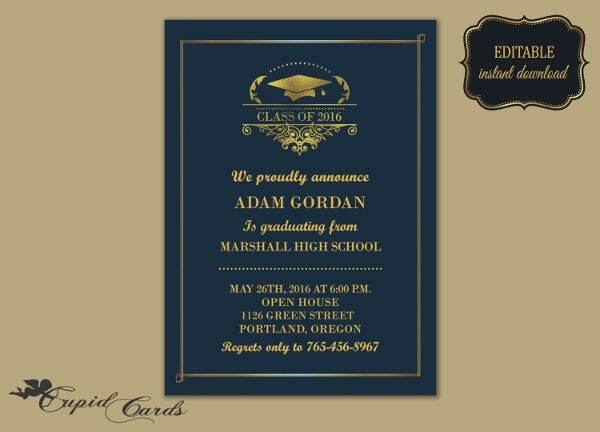 For more samples and templates of invites, which you may use for this specific kind of gathering. 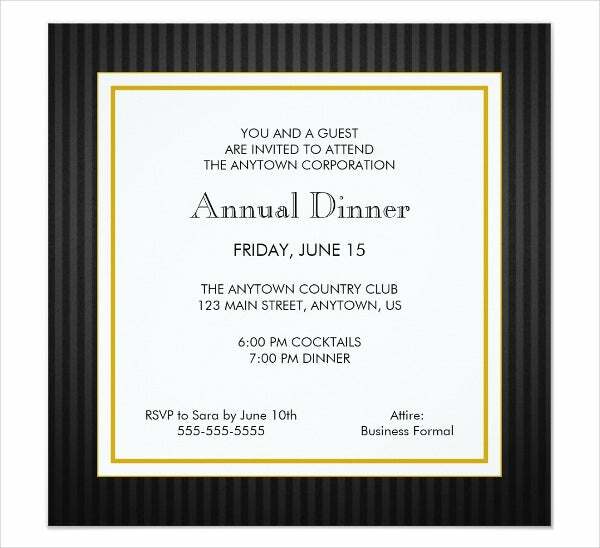 Browse through our Dinner Invitation Templates for more options.